Here’s the bad news: Worms, bots, and other parasitic infections are sometimes a part of life for a horse, and therefore, by proxy, the horse’s owner-as it’s you who must deal with it. All parasitic infections should be treated promptly and efficiently to ensure the horse’s long-term health and quality of life. There are a host of effective treatments for parasitic infections available on the market. 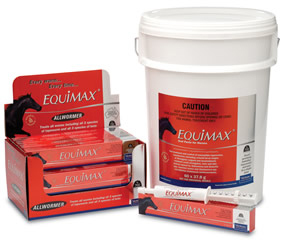 Our staff will be able to help you find the deworming product that is right for your horse.